Develop confident readers and support classroom instruction with our new Skybrary School online reading service. Once you create an account, you will then be able to purchase a plan online by credit card or purchase order. Best value for multiple classrooms! Need more? For larger volume or district purchases, please contact schoolsales@levarburtonkids.com for questions. Want to gift a classroom or school in need? Click here to learn more. What devices does Skybrary School work on? The online reading service can currently be accessed on web enabled computers and supports IE 10 or above, or the latest version of Chrome, Safari (on Mac), and Firefox. There is no Skybrary School app available for Android or iOS tablets at the moment. Does each student have their own username and login? Yes. 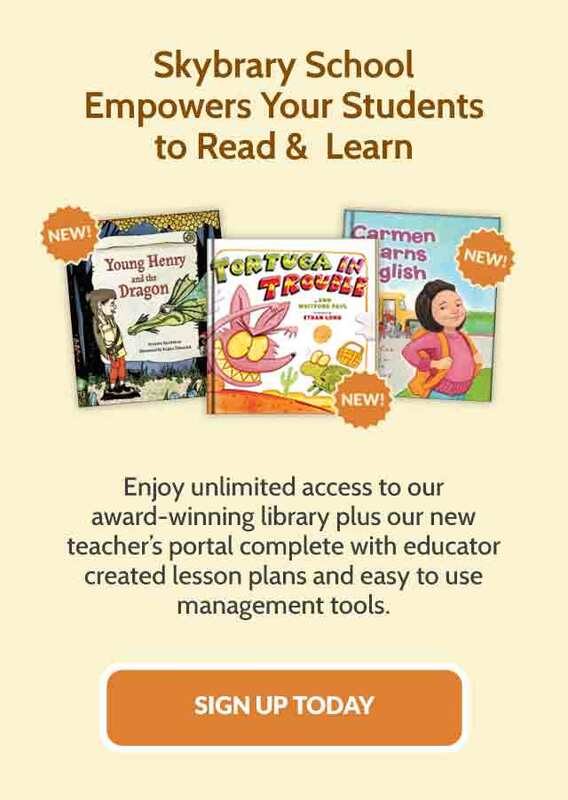 Whether you are using the free trail or have purchased a plan every student gets their own login so they can access the reading service anytime, anywhere. This also enables the service to track each students usage. Does Skybrary School accept purchase orders? Yes. Once you choose a plan and create an account you will be able to purchase Skybrary School either by credit card or by completing our order form and sending a copy of your P.O. Further instructions are available once you register. I had a Free Account but now I want to purchase a plan, will my classroom roster and student data be saved? Yes, if you have enjoyed our free trail, then the program has saved your account information including student roster so your students can continue unlimited access and their reading history will be saved. Can I start a plan at anytime? Yes. The Classroom and School plans are for 12 months and can begin at anytime. *See FAQ’s for more details on subscription terms.